Mystery Author Deb Baker (aka Hannah Reed): Gertie Rides Again! 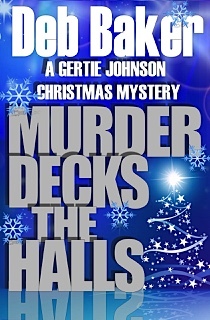 It's the season to be jolly in the Michigan Upper Peninsula, and the Trouble Busters are looking forward to the annual holiday lull in crime solving. But Gertie's plan to relax inside her ice shanty and catch a few fish is blown to smithereens when a stick of dynamite takes out one of the Hall brothers. With the help of Cora Mae and Kitty, Gertie is determined to reel in the big fish yet - hook, line, and sinker.